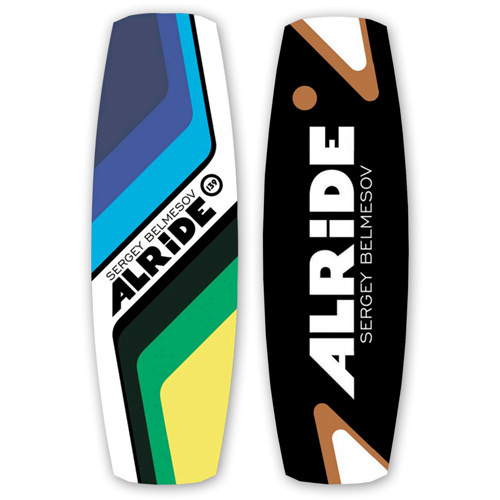 “ALRIDE Boards” is the first Russian manufacturer of wakeboards, we guarantee the best possible price for our products. Fast delivery wakeboards and other of our products for free. The warranty for our wakeboards is valid for 12 months 100% Satisfaction Guarantee for online purchases within 14 days. 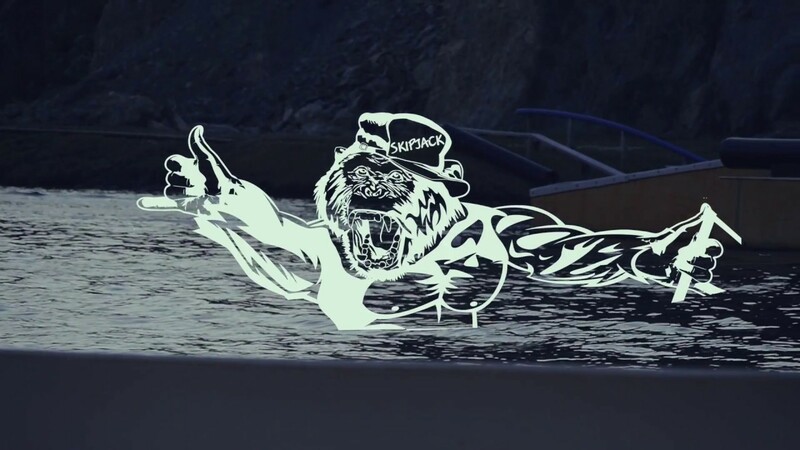 Wakeboarding is not only a sport, but a lifestyle. We do wakeboards for riders who value individuality – what will be wakeboard you choose yourself . Just one of our options, you can choose either to turn to professional designers (please call and we will help you with the choice). 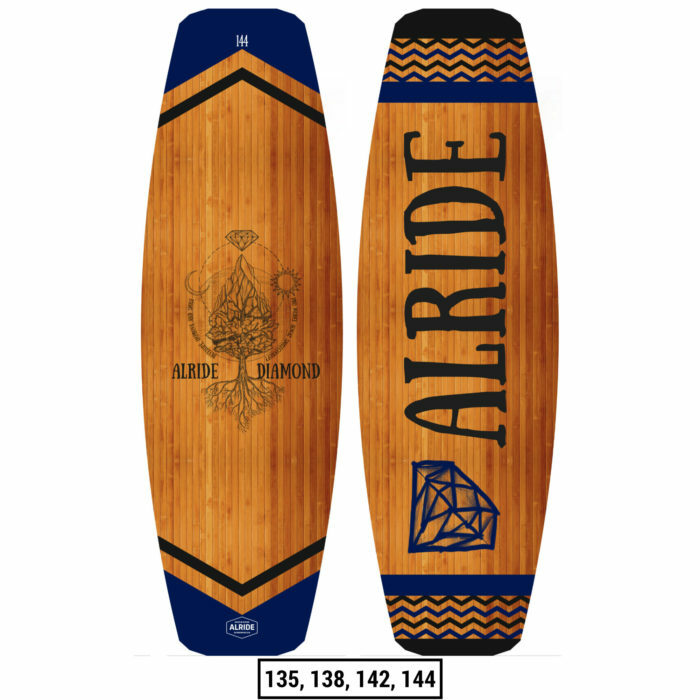 Alride boards features help to achieve new heights in wakeboarding. Wood core, unlike foam, bends and does not break. The use of innovative materials such as multidirectional fiberglass and carbon fiber possible to achieve incredible performance with low weight. Park base – a special material that is resistant to abrasion and excellent sliding on figures wake park. The top layer – the plastic, which is applied to the image, protects wakeboard and does not fade in the sun. Ruslan Habibrahmanov's Pro model SkipJack is a model for pro park riders, narrower rack allows beter control of the board, and there are concaves on the nose for more confdent sliding through the pipes and rails. Hybrid rocker for a confdent edge. Feel like the lord of the park! 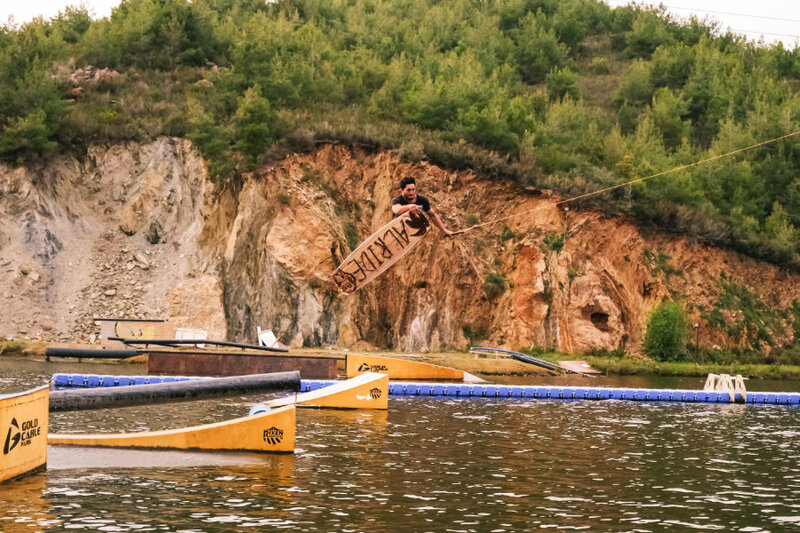 Pro model of Almaz Smilecooloff- the multiple wakeboard champion of Russia. The 5-Stage rocker creating flat areas at the tip and tail, under the bindings, and in the middle of the board. These flat areas generate an explosive ollie and provide a more stable landing, balance, and press on rails, kickers, and other park obstacles. Best choice for a progress in wakeboarding. Model Extra is for riders who wants get the new feeling in riding. Camber in the center of the board allows you to ride in the most ergonomically correct body position. 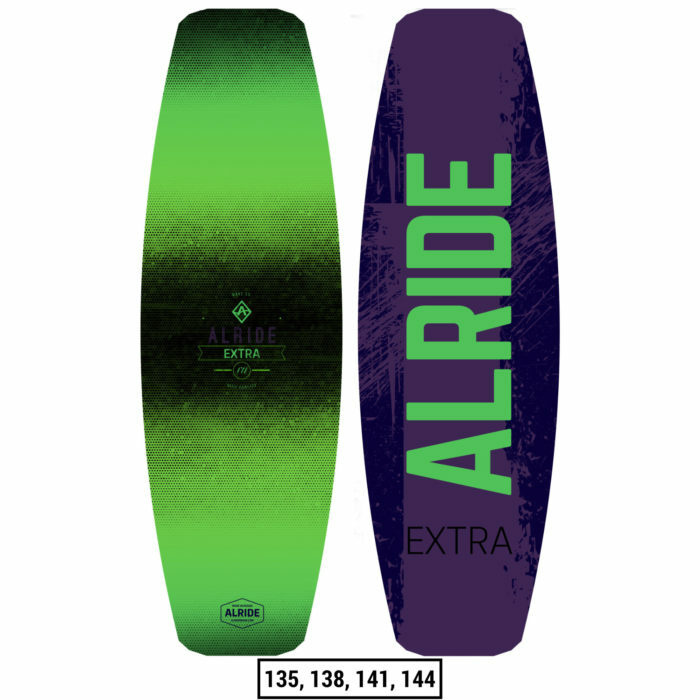 After once riding on Extra you will never want to ride on another board. 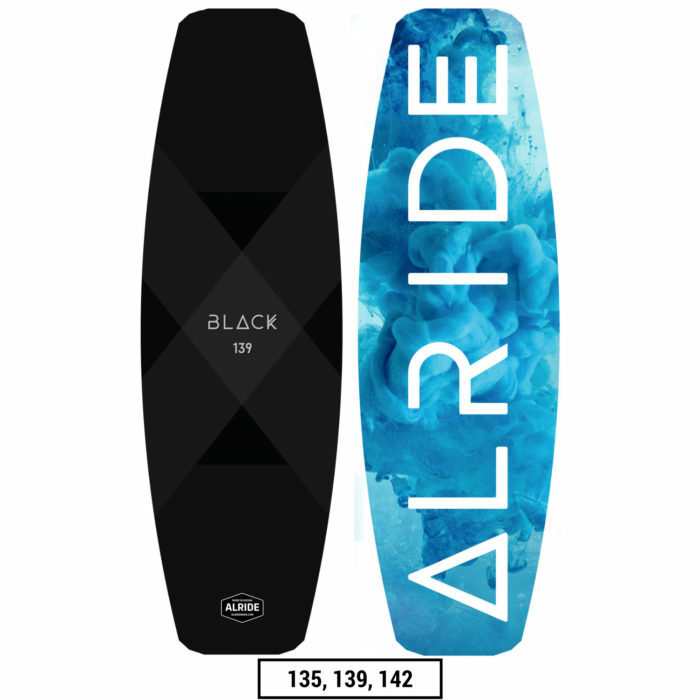 The Black's construction allows to ride in the wake park as well as boat Deep side, tip and tail quad channels for gain stability edging and landing This model is a high-end board for experienced riders who like the rigid and dynamic boards. The Alride Park was designed to be the perfect choice for any rider in a cable park. The hybrid rocker is a combination of stability, excellent gliding, explosive pop and response. 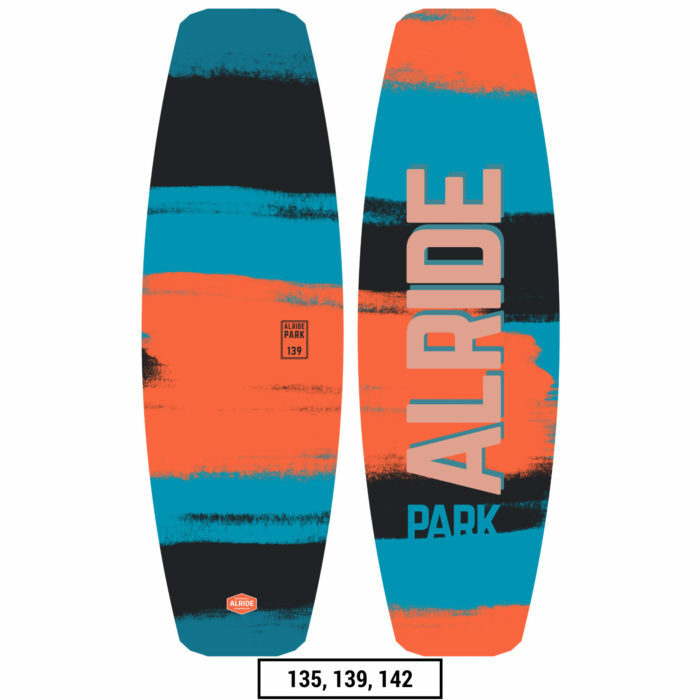 ABS rails and park base make this model the ultimate park board. 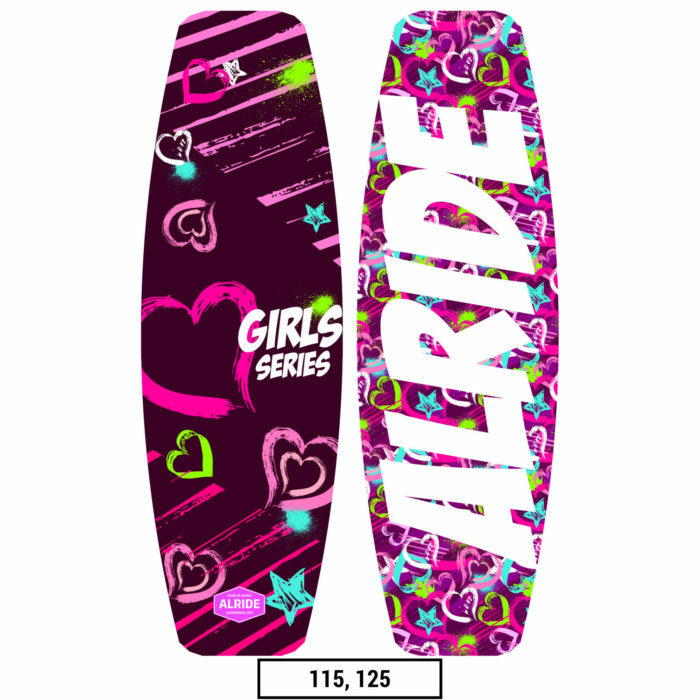 For all of the women riding in the park, here is your new board! 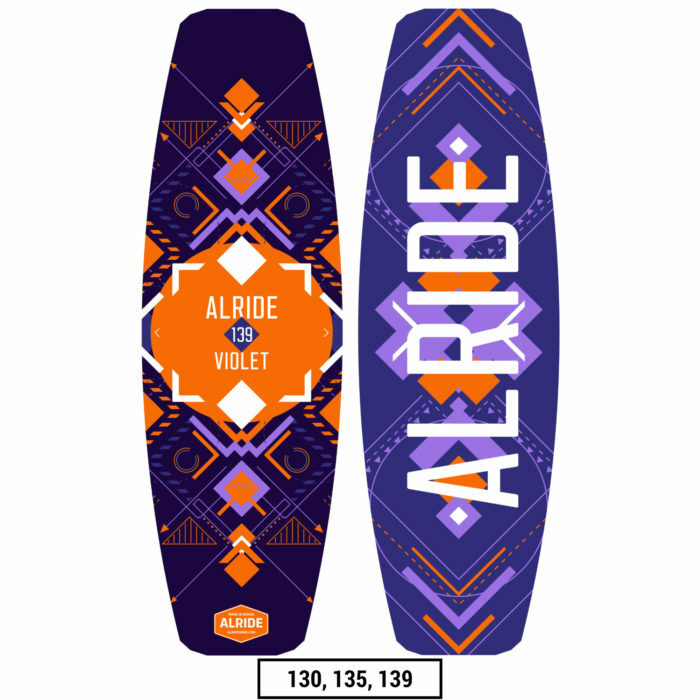 Friendly hybrid roсker the Alride Violet will take your riding to new levels. More flex at the tip and tail for easy pressing and soft landing. And…this board looks very cool! 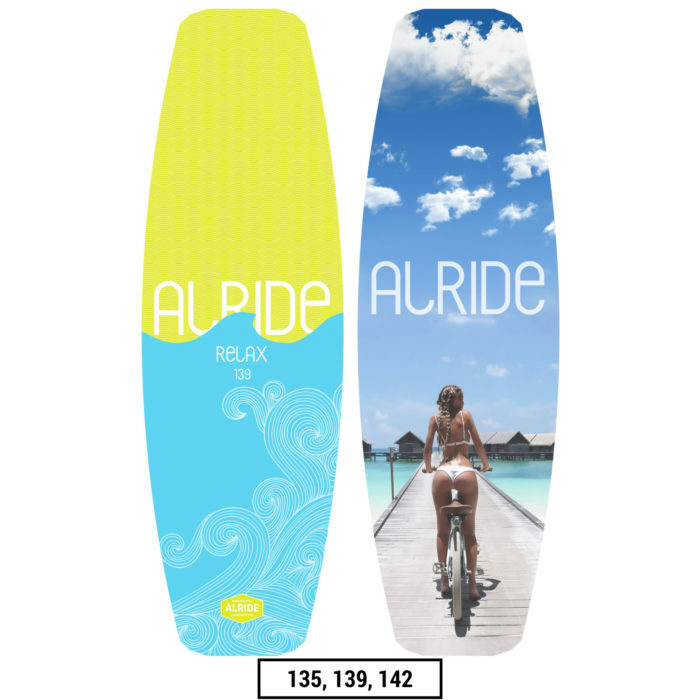 This board is a true boat board that lets you choose your style, it is funny and easy to ride on it.. Double Concave – Increased acceleration and pop while maintaining soft landings. Deep side, tip and tail quad channels for gain stability edging. Ride on Relax! 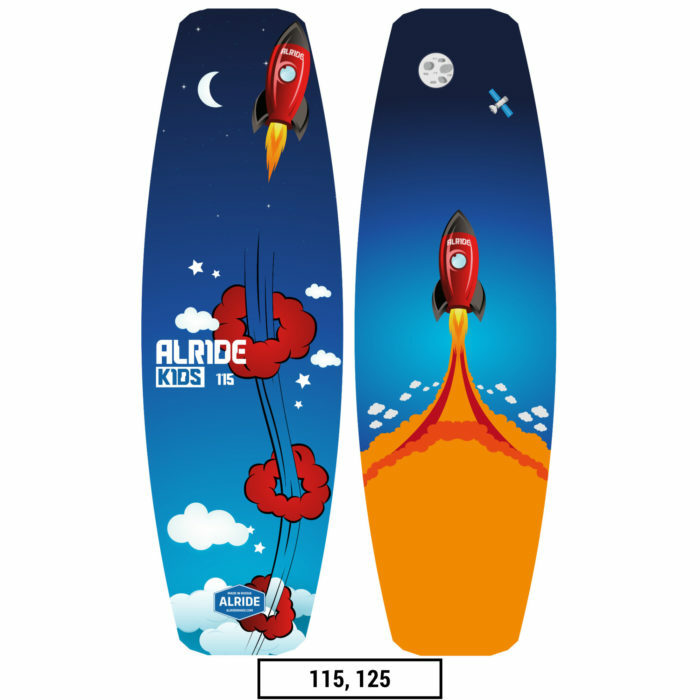 The Kids is a great kids board, its Continuous Rocker keeps the board stable on the water and predictable off the wake. This board is a good first board for kids just getting into the wakeboarding. Promodel “Sergey Belmesov”. Russian two-time kiteboard champion. 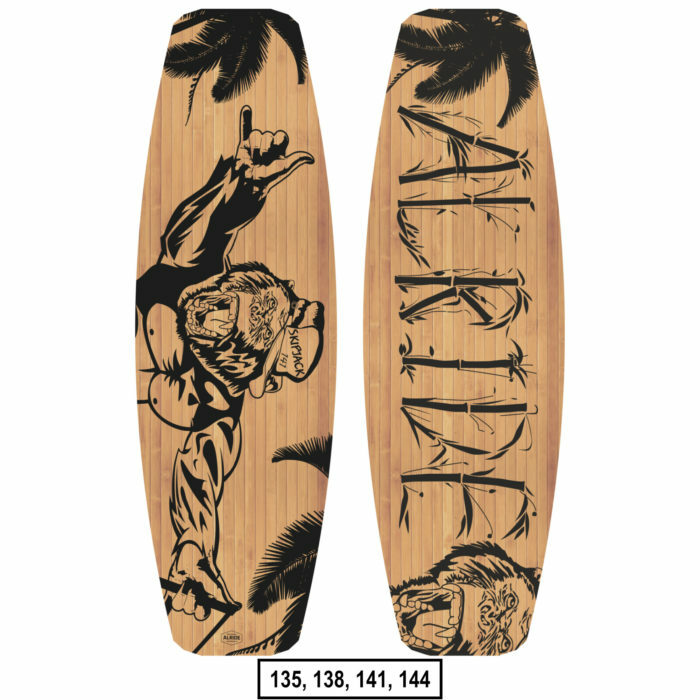 Pro board for kiteboarding and kite park ride. You can fix keels on the board, and remove by park ride. Deep side, tip and tail quad channels for gain stability edging and landing. Special Triax fiberglass give more response without an additional weight. Full Stage Rocker and thin sidewall make the board fast at aggressive. Strong ABS sidewall withstand all shocks and park slider defend bottom of the board.